On this job we have installed a pair of softwood Chelsea driveway Gates. The approximate measurements of these are 3 feet high by 6 feet wide. 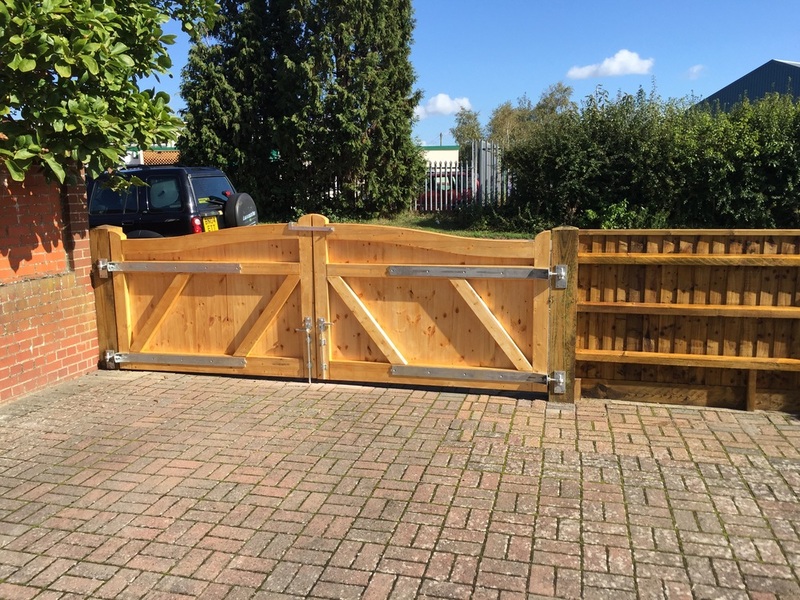 You can see the hinges used are heavy duty to take the weight of the gates and are fully adjustable. Two drop bolts and a clasp are used to keep the gates closed and secure. 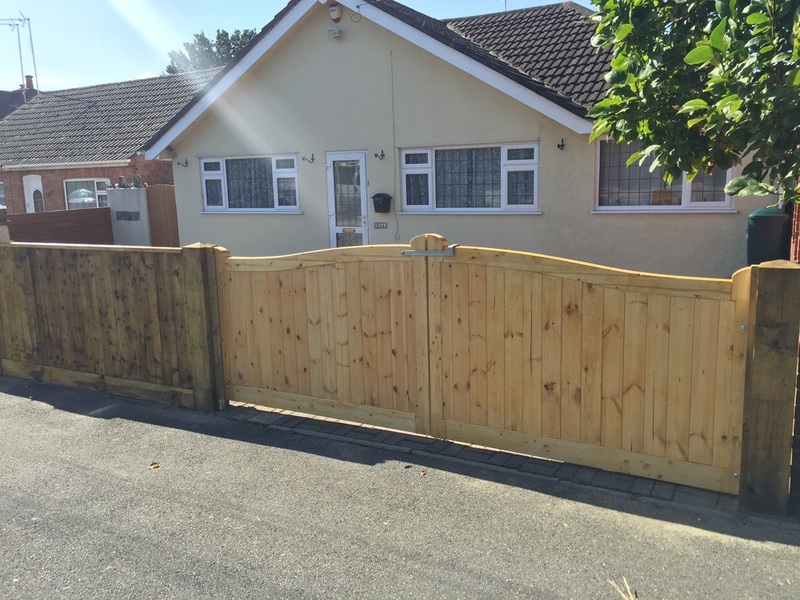 To infill the remaining space to the wall we used close board fencing at the same height.